Ayton is served by Ayton Primary School, a 3 teacher school catering for P1-P7 pupils. There is no nursery at Ayton. The Headteacher is Mrs Liz Donkin. The Friends of Ayton Primary School continue to raise substantial sums for the school from the community and, over the years, the support has been fantastic. To visit the school’s own website, click here. Most Ayton pupils move on to Eyemouth High School for their secondary education after completing their P7 year. 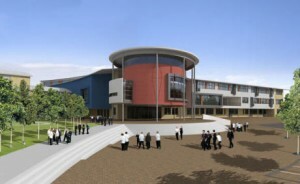 The school roll was 447 in September 2006 and it serves the catchments of Ayton, Cockburnspath, Coldingham, Reston, and Eyemouth primary schools.